Israeli security officials are recommending that the country build a fence along the border with Jordan to protect a new airport, local media reported. The construction would completely encircle Israel with a wall. “Security officials recommended the construction of a security barrier to protect the new airport which will be built at Timna,” an army spokeswoman said, as cited by AFP. The airport is being built about 20 kilometers from the resort town of Eilat and just 200 meters away from the border. It is due to be completed next year. The barrier is planned to be 30 kilometers long at first and have surveillance equipment placed nearby. It has already been approved by the head of the Israeli army's Southern Command, General Sami Turgeman, according to Haaretz newspaper. The barrier is also reportedly aimed at thwarting any jihadist infiltration from Jordan. Migrants from Iraq and Syria have been flowing to the country, and defense officials fear extremists could seep through. Israel recently walled itself off from Syria when the civil war started there. 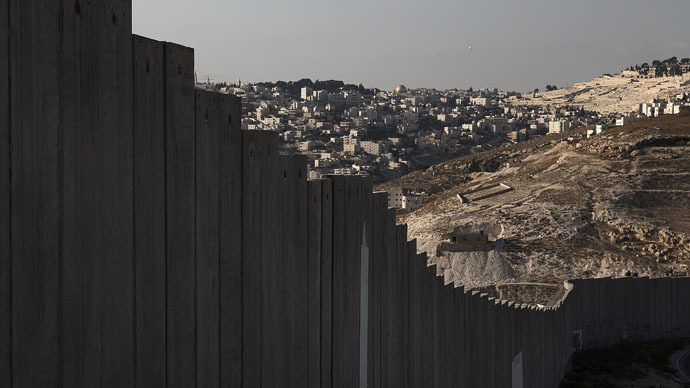 It also already has fences on its southern border with Egypt, as well as Lebanon in the north and the Gaza Strip. The eastern border with Jordan so far remains the only gap in Israel's wall ring. Prime Minister Benjamin Netanyahu already voiced plans for a barrier at the border with Jordan in 2012, but then he was mainly concerned with illegal migrants seeking work. The construction still has to get the go-ahead from the government. And with Israel facing an election on March 17, it's unclear what the next government's attitude towards the plan will be. The election is expected to be a very close race, and the current Prime Minister Benjamin Netanyahu is accusing foreign powers of trying to topple him.